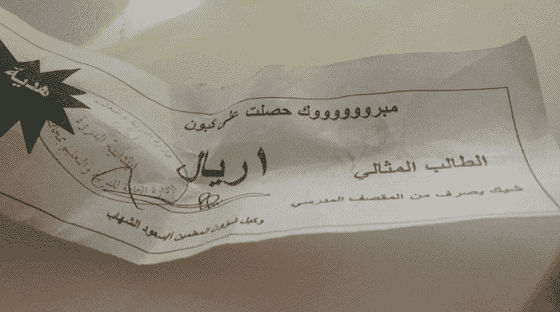 - A voucher of one riyal is uploaded on a twitter and soon it became viral and social media users as always reacting to the matter and meltdown and started sharing their feelings. - While the other user reacted by saying 'One Riyal is too much for him, They should have give him half Riyal'. The another user said "Its good, At least they should give him cash, Instead of coupon". - The aim of giving Riyal is to bring joy to the student and motivate them to keep doing great work. It is just a simple appreciation certificate to the student.